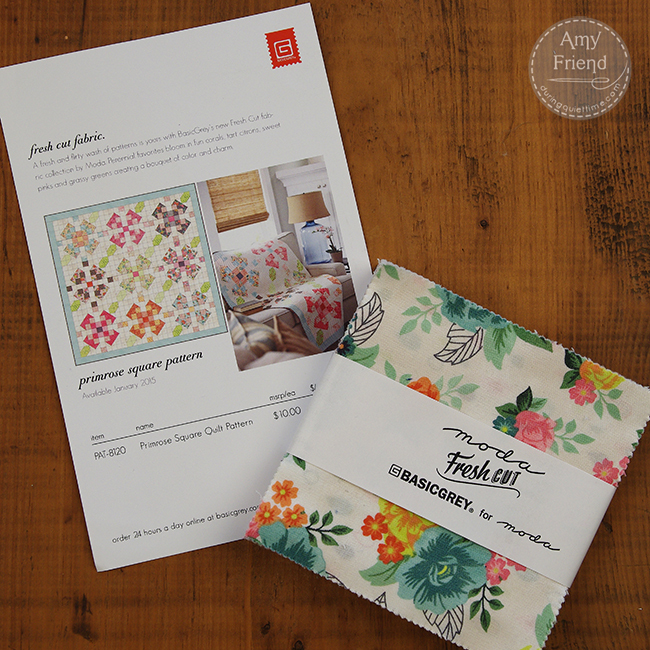 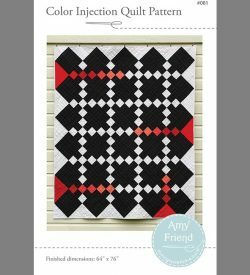 This PDF quilt pattern is called Primrose Square. 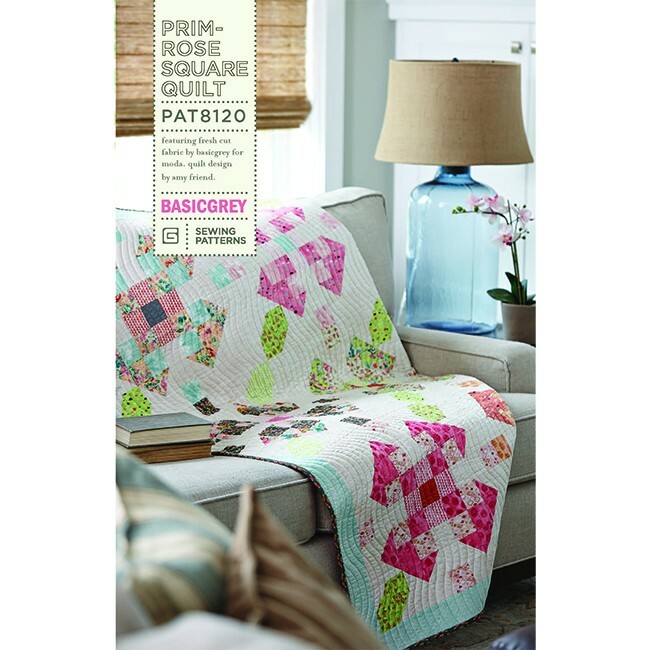 Primrose Square features BasicGrey’s Fresh Cut collection and is designed by me, Amy Friend. 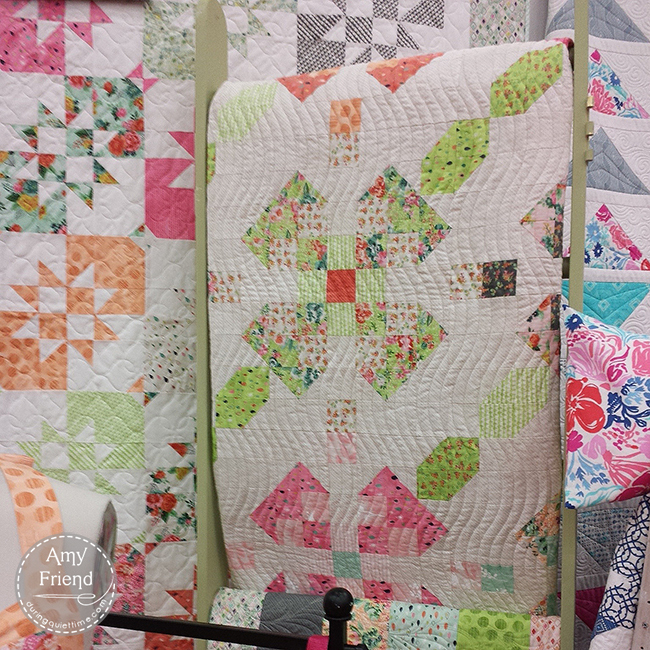 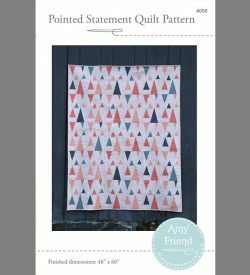 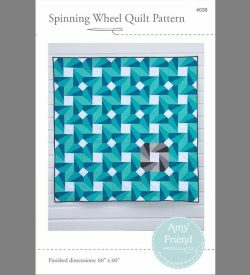 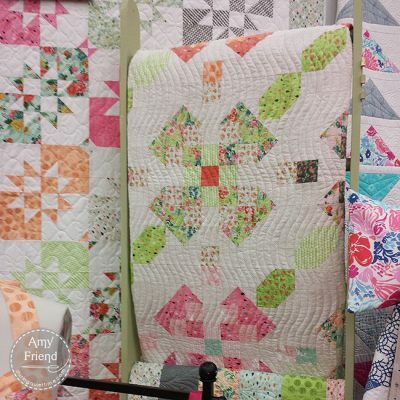 The pattern includes 3 layouts for a Lap (59″ x 59″), Twin (77″ x 95″) and Queen (95″ x 95″) sized quilts. 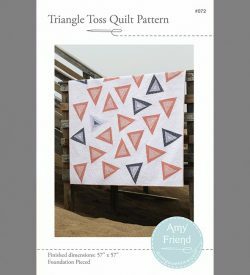 There are cutting and piecing directions for each, all in full color.